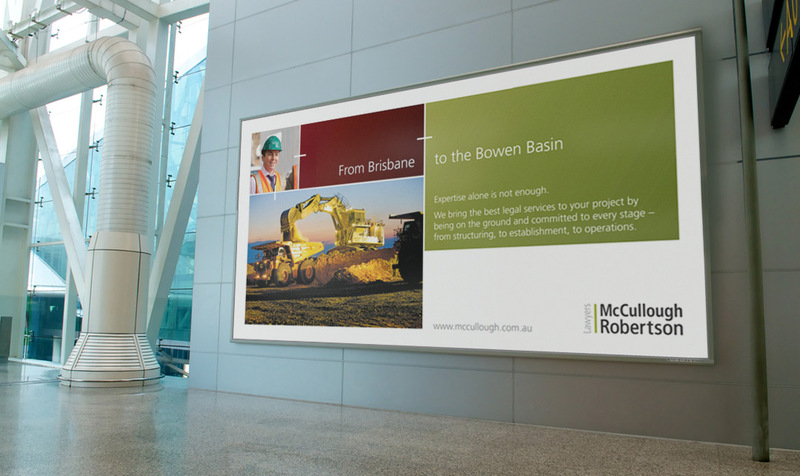 McCullough Robertson is one of Australia’s largest law firms, with offices in Brisbane, Sydney, Melbourne and Newcastle. With plans to expand and grow their profile, they faced a common problem with their brand: they had a logo and brand identity which was consistent and recognisable, but fell short of communicating their firm’s competitive advantage. In a sea of homogenous law firms, what would make the McCullough Robertson brand stand out from the crowd? Why did people buy their services and why did lawyers want to work there? Before we could develop a refreshed brand identity, Wills needed to identify and define the McCullough Robertson brand personality and, therefore, their differences. We also had to develop a strongly rejuvenated brand which worked well with inherited brand elements including the logo and core colour palette. Beginning with a short round of focus groups, we distilled an ownable and distinctive brand essence built around McCullough Robertson’s professional and personal connections. This ‘connections’ essence was then translated into brand behaviours and a refreshed graphics palette. Working with their marketing team we are responsible for all brand and design strategy and application to every facet of their internal and external communications.